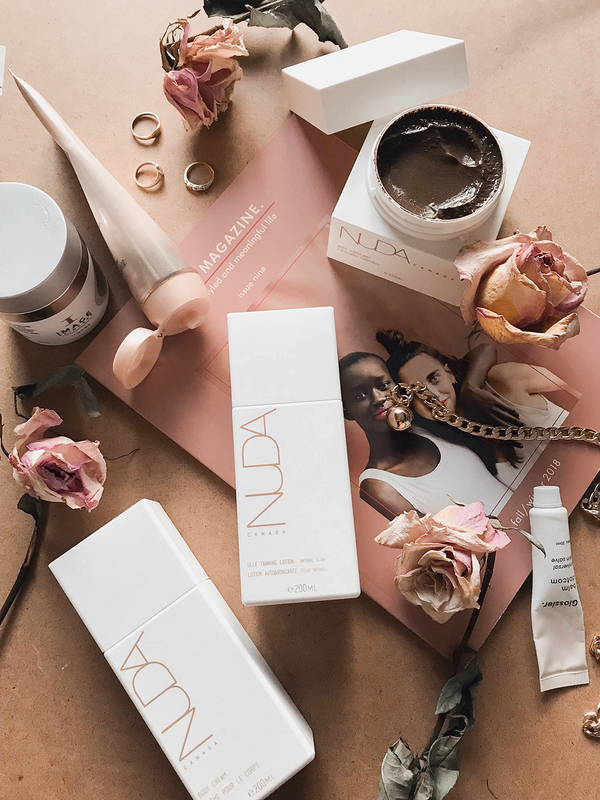 If you haven't tried NUDA's range of bodycare and tanning products yet, take it from me— you're going to want to. This Canadian company prides itself on formulating products with natural, good-for-you ingredients while skipping the harmful parabens, and if that weren't enough, everything they make is vegan, as well as gluten and cruelty free. Oh, and you know, they actually work. So whether you're looking to bronze up those pasty winter limbs, or just stock up on some body lotion, this range is definitely worth a try— here are their standout products IMO. I love this one because it's light, yet super nourishing. It's formulated with star ingredients like shea butter, aloe vera, avocado oil and vitamin e to leave skin soft and hydrated, but not at all greasy. Also of note: it smells good. The perfect pre-tan scrub, this product gently buffs away dead skin cells to reveal softer, healthier-looking skin. Infused with coconut oil, vitamin e and arabica coffee, this one will get you going in the morning based on the smell alone!